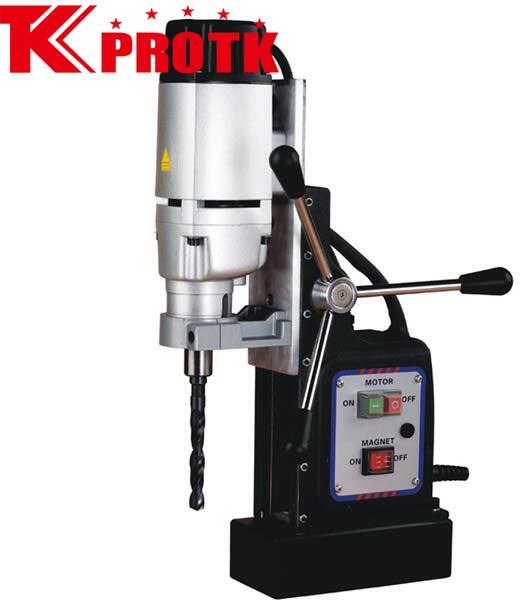 We are a renowned manufacturer, exporter and supplier of Magnetic Drill (TK-23) from Yongkang, China. Offered in iron packages of size 56*19*42cm, this Magnetic Drill provides a magnetic adhesion of 18000N and has a no load speed of up to 330RPM. The twist drill of this Magnetic Drill ranges between 2.5 to 23mm. The Drill also comprises of an MT2 spindle holder. The net weight and gross weight of this Magnetic Drill are 22 kgs and 30 kgs respectively.